What does it take for car dealerships to be considered the best place for used cars in National City? Is it the consistency of quality? The simplicity of the buying process? The ability of that dealership to help the most people? If those are the standards, than those of us at Karz Plus should be in the running. Each of our vehicles gets thoroughly inspected to meet our quality standards. We then make the process as easy as possible by going above and beyond to help as many customers as we can. What makes us special, though, isn’t the vehicles at our used car dealerships, though. What makes us special is how you are treated. Each of our customers is treated with dignity and care as they shop, test drive, and get financing for their new vehicle. 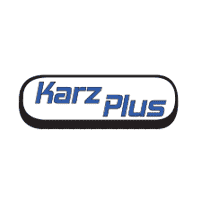 We want you to feel like you are valued at Karz Plus, and will do everything we can to help you. Now, Karz Plus is not a buy here pay here dealership in National City. However, we have a great deal of experience working with customers who have less than ideal credit. We have a great relationship with the financing companies that we work with and are able to help many customers who never thought they would qualify. That isn’t a promise that we will be able to help you, but that does mean that many people looking for bad credit auto loans do have options beyond only shopping at Buy Here Pay Here dealerships. To get the process started for poor credit financing we welcome you to shop for a vehicle. While your concern is with your credit score, it is still important to understand what kind of vehicle you would like. Once you have an idea of what you are looking for we can help you through the qualification process, and see if you qualify for a bad credit car loan at one of our dealerships. From there we will get back requirements from the financing company, and work with you to fulfill those requirements.